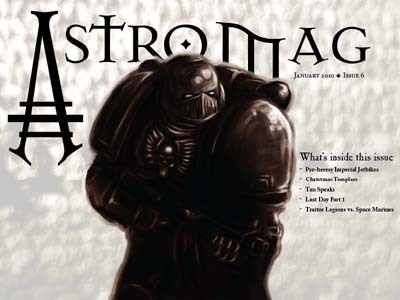 I just got an email this evening from Morgan over at The Astro Mag. 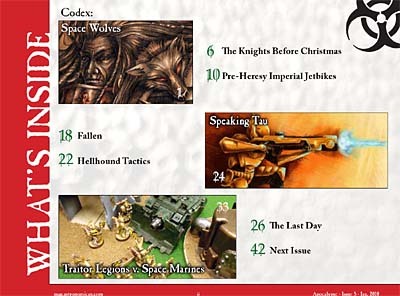 This issue looks to be full of all kinds of good stuff and I must confess, I've got a small tutorial in this one. I've been waiting for this issue to arrive for a long time now and I'm glad it's finally made it. Thanks Morgan for all the hard work on this one! 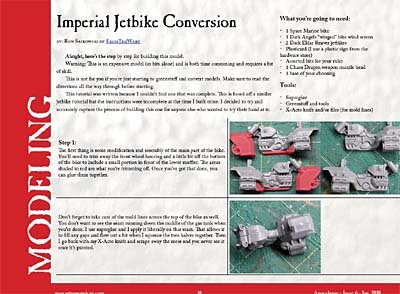 My little contribution is the tutorial for how I built an all plastic Imperial jetbike. Eventually I'll post the tutorial here, but for the mean time, you'll just have to download the magazine to see it. That tutorial easily made the mag stand out as my favorite issue. Coincidentally it's the first issue I had no editorial involvement in haha! If I didn't know any better I would have thought it an actual GW designed model. 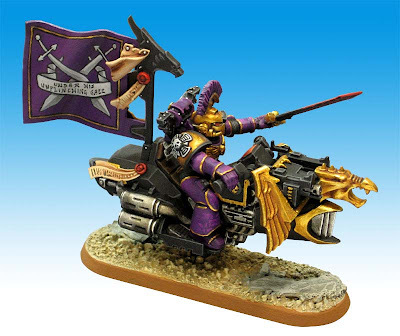 This may get me off my duff farther in the future to make a Pre-Heresy traitor army with some of those. Cyborg Trucker: Thank you, I'll consider it a huge success then since it doesn't look like a conversion at all.